Wow… an incredible cloudscape image!! Thanks. It covered a huge swath of the sky and was so appreciatedl after weeks of grey skies and rain. Thanks, Tina. It was fantastic! We were travelling g cross country when the sky turned like this on a deserted lonely road. Gave me the creeps! I thought it was really cool. I have never seen a sunset like it before…so much detail in the clouds and it covered the whole horizon. Thanks. It was a stunning sunset, courtesy of Mother Nature! Thanks. They were pretty special! What a wonderful moment you captured. Could be a painting too. The light is perfect! It was unreal. I felt very lucky. Oh my! that is amazing. 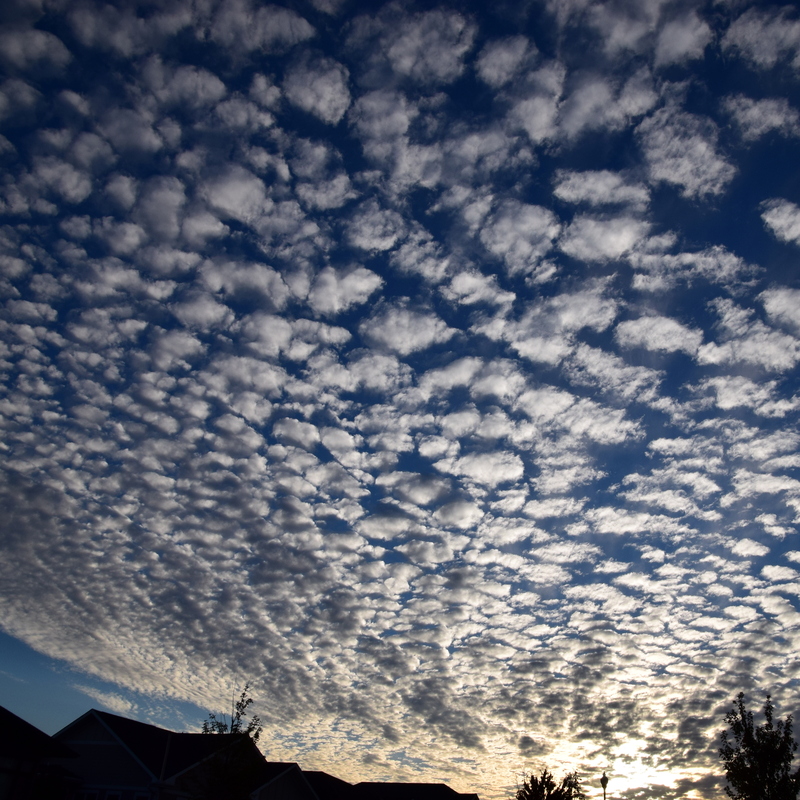 Is that cloud formation what is called a “mackerel” sky? I don’t know, Anne. I’ll have to check it out further. I’ve never seen anything like it before. Lovely the words and the photo. Thank you. It was a very unique sunset!